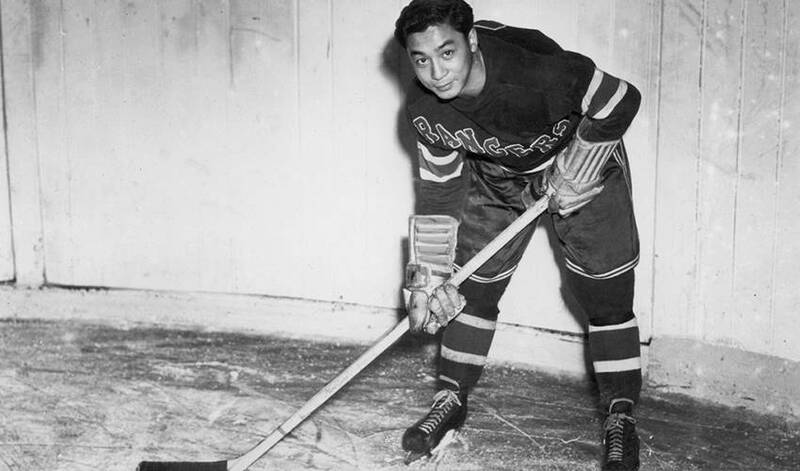 Larry Kwong, the first player of Asian heritage to appear in an NHL game, has died at age 94. Kwong, who played a shift with the New York Rangers in a March 13, 1948 game against the Montreal Canadiens, died on Thursday in Calgary according to an obituary posted online. Born in Vernon, B.C., on June 17, 1923, Kwong played as a youth with his hometown Hydrophones before moving up to the senior ranks, joining the Trail Smoke Eaters as an 18-year-old. After his brief appearance with the Rangers, Kwong went on to play several seasons with the Valleyfield Braves of the Quebec Senior Hockey League. He also played in England and Switzerland, where he also coached. Kwong was inducted into the B.C. Sports Hall of Fame on Sept. 19, 2013.